When I think of theater, the first thing that pops into my head is a simulacrum of a person dramatically crawling across the stage, relentlessly cursing his attacker and shouting his last words. I personally have been able to act in multiple musicals throughout the past few years and have come to realize that music is almost as vital to theater as the lines themselves. But never had I imagined a show in which there is nothing but singing. My initial reaction when walking into the Ordway Theater in Minneapolis was one of deep amazement and the theater definitely had an air of mystique. The landscape of the theater drew me in right away and I found my seat; eagerly waiting for the show to start. After a long drive and a tiring day of school, everything had led up to this moment of dimmed lights and the start of the show. It was time. 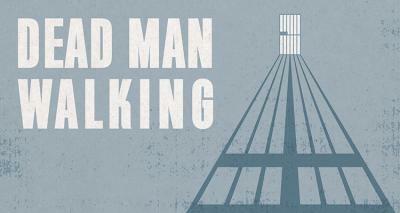 Virtually no lines were spoken in the first scene of Dead Man Walking. All of the noise, with the exception of the one line spoken, is music and the singing began in scene two. Children were scattered about on stage chanting “He will gather us around” in a sweet, church like manner. I knew it was an opera, but at that point I did not realize that for the next few hours I was going to be hearing a lot more singing than I had originally planned on. A beautiful marque that flashed the vocalists lyrics, even though most of the time the actors didn’t need it, should have cued me in on the fact that an opera is a performance consisting solely of the musical melody the actors produced. The actors and actresses were phenomenal singers and I could understand them a large portion of the time without subtitles. Lovely as they were, the songs were not only there for decoration either. With every word the cast spewed, I was enlightened on even more of the story, and I was drawn in to the plot that was slowly being unraveled. It all started with a boy and a girl; they casually started talking by the swamp. Eventually, along came two men, and moments later the young couple was killed. The story goes on to show the spiritual battle that the main character, Matthew, faces while waiting on death row and how he interacts with his spiritual adviser, Sister Helen. The story was a beautiful collection of scenes that all came down to the very end to finally finish the masterpiece. It was astounding. But what really sold me about the beauty of the opera was not the immense skill it took to keep singing for hours on end, nor was it the aura of perfection when seated in the theater. What really sold me was the acting. The cast was so enveloped in their characters, and so deeply convincing, that when they took bows, I thought it was odd because the characters would not act in such a manner. The people I had listened to and invested in emotionally were suddenly different, but they looked the exact same. While listening to the opera may not be a great pastime for everyone, it certainly reaches a large number of people. I personally think it was an awesome experience and cannot wait to go back and relive the adventure in a whole new story. But one expectation about my trip will be changed for good. This time, I know they are going to sing and I know I am going to like it.